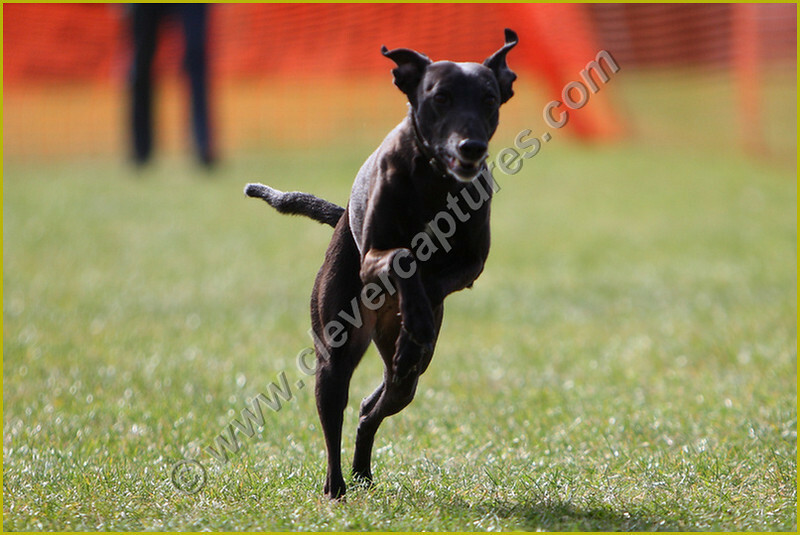 We were delighted to be invited back this year to capture the action at the Canine Capers Event. There are two galleries here, all the general images of the event and then the superfast sprinting dogs as they fly back to their owners. In some cases the owners/friends released them and so we tried to capture them as well. Some focussing on the dog with owner/friend in the background, some focussing on them with the dog in the foreground. Very happy with a lot of these but not all are pin-sharp images as some of the dogs hurtled out of the focal range that they were in a split second earlier! While you are here, don't overlook the chance to get one of our Calendars from the 2008 Scamps Event in the Calendar Gallery! Please remember to state the gallery title and image (IMG) numbers! Please click once on the appropriate PayPal button below and after a few moments you will be taken to the PayPal checkout. Alternatively, send your cheque (payable to Mrs L M Parker) to 26 Tintern Abbey Bedford MK41 0RW. Please email us at info@clevercaptures.com with any queries. We are keeping our donations as low as possible whilst still bringing you the highest quality images we can achieve. So please support our labours (and our equipment kitty) and we will continue to bring you more! Feel free to leave any comments here as feedback would be very welcome!